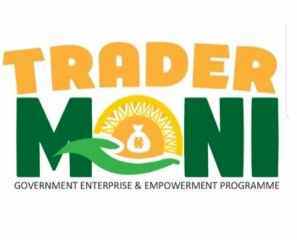 Trader Moni is a collateral free loan programme created by the Federal Government of Nigeria specifically for petty traders and artisans across the country. Federal Government Create Trader Moni because Over 20 million Nigerians that are in petty businesses are in dire need of capital to expand, but are unable to access loans to trade. Trader Moni is for them. Trader Mini is not a bank of Industry Loan, Trader-Moni is a special intervention by the Federal Govt, the loan is only being administered by Bank of Industry Nigeria. If you are a petty trader or an artisan in Nigeria, and N10,000 can help your business today, then you are eligible to collect Trader Moni loan. Trader Moni loan starts from N10,000 but you can collect as much as N100,000. When you pay one loan, you qualify for a higher amount immediately. Trader Moni is interest-free! You pay back the amount you take. If you are a petty trader and do not sell in a market, an open cluster, or a busy hub or street, a team of agents will be sent out every month to seek out qualified petty traders who are not in busy hubs, markets or trade clusters. You may also call 0700-6275-386 or 07001000200 to express your interest and state your location, Trader Moni would do their very best to accommodate you. 1. DO I NEED PVC FOR TRADER MONI? You dont need PVC to register for Trader Moni and collect loan. PVC is not a requirement. 2. WHERE CAN I GET TRADER MONI FORM? There is no form for Trader Moni and registration is absolutely free. All you need is a phone number to register. 3. IS TRADER MONI FOR ONLY SOME STATES? Trader Moni will cover all the 36 states and the FCT by the end of this year. At least 2 million loans will be disbursed. 4. WHO IS A MARKET ACTIVATION? Market activations are like “launch" events to announce the presence of TraderMoni in a state. However, it is not the start of TraderMoni in the state, as the programme has already started in every state nationwide. 5. CAN I REPAY CASH THROUGH AN AGENT? NO. You should NEVER pay back your TraderMoni loan to anyone outside of a commercial bank or a licensed mobile money agent, otherwise the payment will not be recognised by TraderMoni and you will still owe. 6. HOW DO I REPAY A TRADERMONI LOAN? To repay your TraderMoni loan, walk into any of the following banks: GTB, UBA, Ecobank, Union Bank, Stanbic, Sterling, Wema, Fidelity, Heritage, Jaiz. 7. WHERE CAN I BE ENUMERATED? You can be enumerated at your point of trade (where you sell your market). You can also be enumerated where you buy your goods before transporting for sale (for example, at the bakery for bread sellers) Wherever there is a TraderMoni agent, they would be able to enumerate you as long as you are eligible. 8. WHO IS AN ENUMERATOR AND HOW CAN I FIND THEM? TraderMoni numerators are agents of TraderMoni working on the field, in your market, trade cluster, or place of business. 9. HOW DO I REGISTER FOR A TRADERMONI LOAN? Register for the TraderMoni loan through a TraderMoni Enumerator (also called “agent”) in your area. TraderMoni has agents in every state today, identifying and registering eligible petty traders and artisans. 10. WHO DO I CALL, OR WHERE DO I GO, IF I HAVE QUESTIONS? If you have questions, you may call 0700-6275-386 or 07001000200. Contact Details: For enquiries about TraderMoni, call 0700-6275-386 or 07001000200.